^ The Allies. U. S. Army Center of Military History and World War II History. [17 September 2009]. （原始内容存档于2009年10月16日）. ^ The Real History of World War II: A .... Google Books. [2 September 2009]. ^ Encyclopædia Britannica. 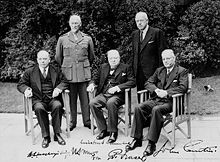 Allied Powers‑International Alliance also called Allies. Encyclopædia Britannica Online. 2009. ^ Hakim, Joy. A History of Us: War, Peace and all that Jazz. New York: Oxford University Press. 1995. ISBN 0-19-509514-6. ^ Doenecke, Justus D.; Stoler, Mark A. Debating Franklin D. Roosevelt's foreign policies, 1933–1945. Rowman & Littlefield. 2005. ^ Ma, Xiaohua. 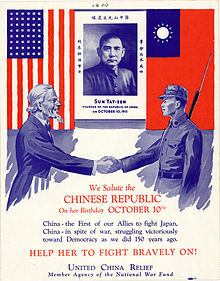 The Sino-American alliance during World War II and the lifting of the Chinese exclusion acts. New York: Routledge. 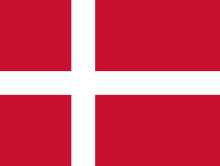 2003: 203–204 . ISBN 0-415-94028-1. ^ The Moscow Declaration on general security. Yearbook of the United Nations 1946-1947. Lake Success, NY: United Nations. 1947: 3 [25 April 2015]. OCLC 243471225. ^ After the Statute of Westminster of 1931, Dominions were granted full independence in their foreign relationships. Only treaties signed by the United Kingdom before that year could link them. ^ Former co-belligerent of Germany in the Continuation War. Finland signed an armistice with the Soviet Union and the United Kingdom on 19 September 1944, and fought against German forces in the Lapland War from 1 October 1944. On 3 March 1945, Finland retroactively declared war on Germany from 15 September 1944. Finland did not join the United Nations during the war.